The Bonsai Village was established in Omiya over seventy years ago in 1925, two years after the Great Kanto earthquake in 1923. Bonsai growers who had lived in the Hongo Area in Tokyo, learned a lesson from the earthquake and decided to move to Omiya where there was good soil for nurturing bonsai with clean water and fresh air. At its peak, Bonsai Village encompassed more than 30 distinguished Houses. Today, more than 10 Houses can be found in the area, consistently producing some of the world's most envied and beautiful bonsai. 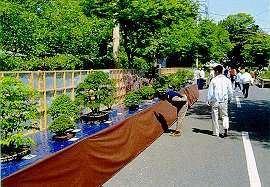 In addition, the Great Bonsai Festival draws great crowds and is held each year from May 3rd to May 5th. Bonsai is very popular abroad, and Bonsai Village has hosted young trainees from Europe and the United States while entertaining 10,000 visitors from abroad annually. 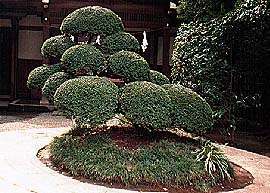 Though Japanese people tend to regard bonsai as being rather exclusive, bonsai trees are very easy to admire. Visitors are welcome to stroll around Bonsai Village at their leisure. 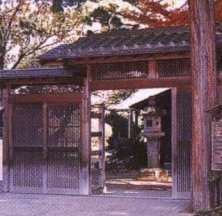 For those who have tired from a day's worth of sightseeing, the Japanese-style "House of Four Seasons" provides a relaxing complementary rest area. All of the Bonsai nurseries in Bonsai-cho are within walking distance from the local railway stations, they are about 2 minutes' walk from Omiya Koen Station of the Tobu Noda Line, and about 5 minutes' walk from Toro Station of JR Tohoku Line. More information about these nurseries is available at the above link. This bonsai estate owns a collection centered around deciduous trees. Concentrates on selling bonsai tools such as pots and scissors. Handles a wide variety of bonsai trees in each season of the year. Also famous for well-studied bamboo bonsai pieces. A bonsai garden where you can enjoy from mountain wild plants to artistic bonsai pieces. In this garden, Ezomatsu (Japanese spruce) is a must to see. Also a bonsai class is offered. The owner of this garden is good at nurturing creative bonsai pieces. Original tools are also sold here. Concentrates on making middle-class but elegant bonsai trees. Also offers a bonsai class that you can easily join on Saturday and Sunday. The monthly fee is 6,000 yen with a 5,000 yen-admission fee. Concentrates on natural bonsai with minimum human touch for art's sake. Works on bonsai, mainly on azalea, which can easily be grown at home. 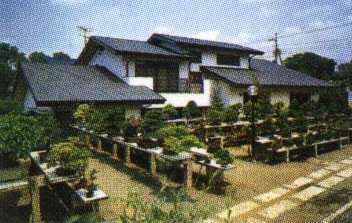 The House of the Four Seasons stands in the nook of Bonsai Village. The house offers rooms which can be used for tea ceremonies, Japanese dance practice or meetings for rent with a charge. It also has free space for rest which anyone can use. This is the place where you can really enjoy the authentic Japanese atmosphere. 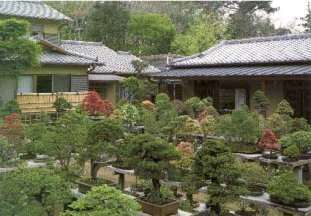 The harmony of the House with the surrounding bonsai gardens is a unique feature of the village. 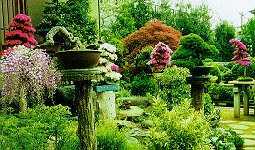 There is a second area in Omiya City that specializes in growing Bonsai and has several nurseries in close proximity. 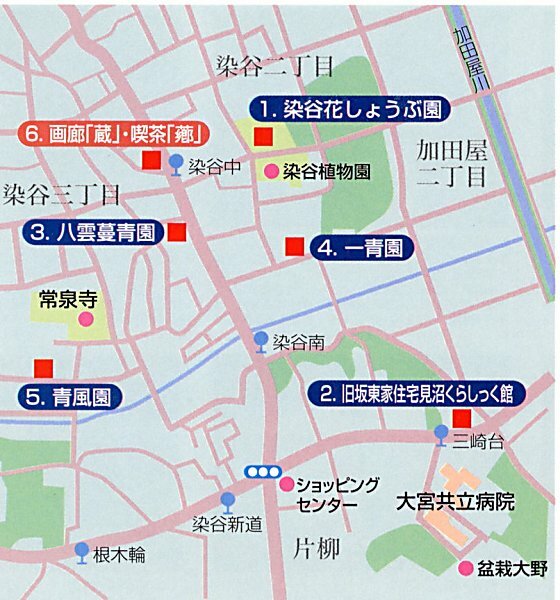 The link above will show you a detailed map of the area. 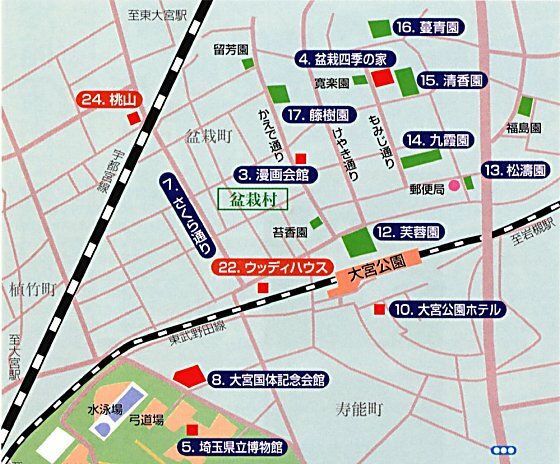 For more information I suggest you contact the Omiya Sightseeing Association. This bonsai garden owns a wide variety of bonsai pieces from wild mountain plants to creative bonsai trees. This garden is included in a Hato Bus tour. The owner of this garden excels in nurturing creative bonsai trees whose natural forms are preserved. This garden offers bonsai trees of Ezomatsu(Japanese Spruce), Kuromatsu(Black Pine) as well as deciduous trees such as mountain maple trees and plum trees. The bonsai nurseries in Omiya are beautiful, so are their trees! Remember that you cannot photograph them. I was knocked for six in Bonsai Heaven but I was disappointed that I had not allowed enough time to visit them all. They are not open on Thursdays and I was being guided so had to go when and where the guide went. A lot of time is taken up with introductions, tea and bonsai discussion before looking at the Bonsai. The Bonsai masters I met were really nice, unpretentious people and very generous. I reckon I would have needed about 4 or 5 days to see the lot properly. Masahiro Owada's Web Page - In Omiya City, the staff at the Information and Travel Bureau in City Hall made me most welcome and their hospitality was wonderful. I must acknowledge especially Masahiro Owada in that office and the trouble he went to on my behalf. It was far above and bdyond the call of duty, including arranging for a delightful guide named Noriko Ishiguro. I went to Omiya to see the bonsai village. Unfortunately, Omiya is a large city with few obvious English speakers, I had forgotten to take detailed directions, and the bonsai villiage is not within eyesight of the main rail line. As a result I found a neat urban park and temple instead. These are located to the NE (right as you come from Tokyo) of the main rail station about 1 km away. I figured I had better be prepared for my next visit to Japan so I had the hotel concierge sort out the directions after I got back. The first step is to get to Omiya main station. This is fairly easy on the JR lines and costs about 500 yen each way from downtown Tokyo. Most of the cars now have lighted displays to give the next stop name in Romanji, Kanji, and Hiragangi (I may have spelled the last wrong and only read the first). A word to the wise is that when everyone else gets off the train before you reach your destination you should follow the crowd as there has been a train change. Once you reach Omiya it is time to change to the local train. You want the Tobu Noda Line for Omiya Koen Station. I did not make it this far, but I suspect that this entails going from the main station to a secondary station nearby (I saw directions to the other station) since there are several train companies and I beleive that this is a different company's line.